You are here: Home 2017 December How to Buy a Server for Your Business? How to Buy a Server for Your Business? How to Choose a Server? Server is critical for small business and large business. Definitely, choosing a server is not an easy matter. 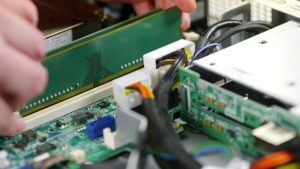 Businesses typically need the warranty and support that comes along with a vendor server purchase. When a network starts to grow, either in number of users or in the amount of data that’s kept on it, a server can help a business stay organized and efficient. However, there is variety of servers available in the market, and all of them are highly configurable. How to choose the right server is crucial for your daily business. First, you need to know what servers are good at. Servers can be used to house files and manage applications. Better yet, they can manage specific user on network can access specific resources. They host company’s website, manage databases, monitor network resources and other tasks. Servers can range from simple, inexpensive tower PCs to sophisticated rack mounts designed to handle heavy workloads and provide disaster recovery with backup, data redundancy and fault tolerance. Sifting through the vast options in the server market need not be a headache, if you have a good understanding of what your business needs are, how scalable you need a server to be and how critical it is to have that server stay operational in the event of a disaster. Budget is going to have a lot to do with which server you select. Low-end server typically for the small business and the price range form $1000-$5000 depending on the configurations. Such servers can be used as file, email or printer server with very limited scalability. The low-end servers usually have limit RAID features, very limit total storage capacity and limit fault-tolerance capabilities. Of course, this kind of servers is not designed for heavy workloads. If you have heavily data processing in your business or lot of virtualizations or other mission-critical applications you may need higher-end server, which options faster processor, multiple hard drives, more memories, and advanced RAID features, etc. Day-to-day needs are very crucial to company’s business. Does your company need to run a database? Will employees need to remote access to work? Does your company hosting any website? Perhaps the server will handle internal system, email, printer, etc.—if so, take into account the number of user accounts that will access the server. Remember, a specific server can come in different configurations for different business purposes. 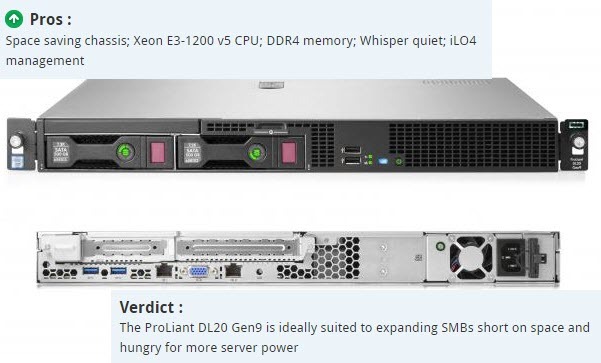 For small business or growing business, the requirement of server may not to be sophisticated; HPE ML30 Gen9 or DL20 Gen9 will fit the requirement. The servers can support maximum 1 Intel Xeon E3 v6 processor, 64GB RAM memory and advanced level of RAID features with one power supply. HPE DL20 Gen9 or ML30 Gen 9 server is a very scalable server that supports a variety of common business applications enough to handle the business transaction for small business or growing business. The price ranges usually from $1000 to $5000 depending on the configurations. After business grows, may require more users access or greater performance for applications or database transactions or intensive workloads may require higher-end server. Data is very important to business nowadays, company cannot afford any data loss or any interruption in productivity due to server and network problems, in other word, data loss is truly disaster for day-to-day business. The technology is known as RAID to prevent Data loss and disk failure in order to keep daily business transactions without any interruption. Enterprise servers typically provide the basic feature of RAID, known as RAID 0, 1, or 10, for example, HPE Gen9 Rack server and Tower Server come with integrated storage controller B140i-a software RAID controller-provide basic feature of RAID and only support SATA Disks. If you need SAS disk and advanced level of RAID, such as RAID 10,5,50,6,60, you can certainly upgrade your RAID controllers. 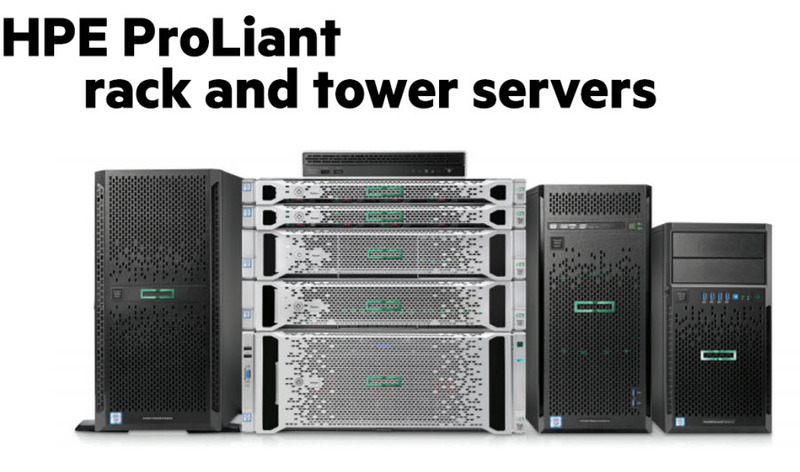 If you do not know how to choose storage controller, read here: HPE servers and RAID controllers for SMB 2017, there is the detail about HPE storage controllers. Personally, I recommend date P440/P840 for Gen9 and P408/P816 for Gen10. Server administrators must have a love-hateful relationship about virtualization. The benefit of server virtualization is enormous. Server virtualization cuts down on server waste by more fully utilizing the physical server resources and by provisioning virtual machines with the exact amount of CPU, memory, and storage resources that it needs. Each Virtual server acts as physical one, isolates the application and removes application compatibility issues by consolidating many of these virtual machines across far fewer physical servers. Cost is everything to a company, company do everything possible to reduce the cost in order to increase benefit. More virtualizations require more workloads to handle, in other word, reduce more operational cost, of course, more virtualizations require more powerful processors’ and more capacity of memories and hard drives. For example: The world best-selling Server-HPE DL380 Gen9 can run maximum 36 cores in 2 processors, 3TB RAM memory and 397.8TB storage capacity, combines with advanced level of RAID features and extremely flexible scalability, suitable for any business environment.